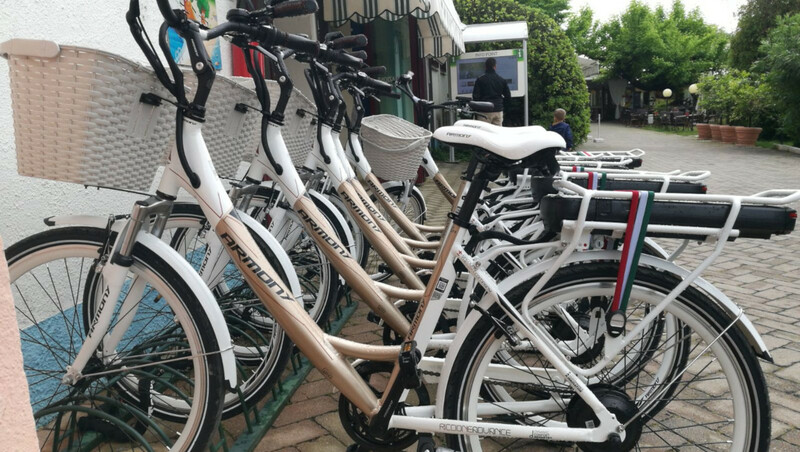 The Regional Call FOR FESR 2014/2020 has made it possible for the company Garda Green Club, to carry out the extension of the company's worldwide distribution capacity, thanks to the improvement in the speed with which the customers’ requests can be managed. 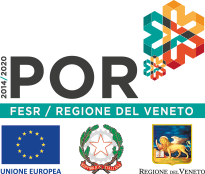 Garda Green Club is a business network and a product Club that has been officially recognized by the Veneto Region through a non-refundable grant from the POR FESR 2014-2020 equal to € 47.371,14 against the total investments of € 94,742.27 incurred by the parent companies of the business network in the year 2017-2018 that had not previously been granted by other tenders or concessions, namely: Albergo Sole di Bonetti Corrado & C. 5.733,34 € - Belfiore Sas di Consolini Giorgio & C 6.062,60 € - Hotel al Caminetto Sas di Consolini Giacomo & C 5.983,55 € - Royal Sas di Emil Bergonzini & C 5.220,10 € - Key s.r.l. 5.965,98 € - Ca del lago s.r.l. 7.153,32 € - Bertuzzi Claudio 6.937,14 € - Effettonido s.r.l. 4.315,10 €. Merit should be given to these facilities for having been the first ones to understand the importance of carrying out their work with utmost respect for the environment in order to offer the modern tourist a quality and ethically valuable service. Thanks to the investments made today, all the reception areas of the small and medium-sized businesses are able to monitor their pollutant emissions, give their customers a certificate of the environmental impact of their facilities and effectively communicate their tangible commitment to the environment. 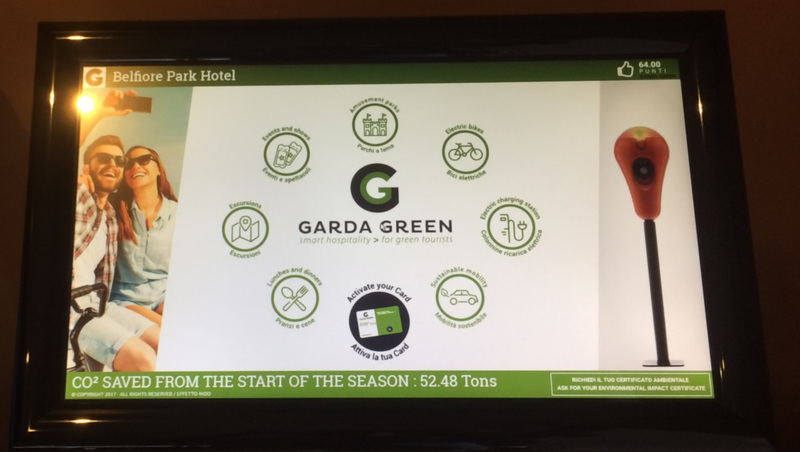 The clients using any of the Garda Green facilities, such as a campsite, restaurant or hotel are guaranteed exclusive amenities selected for their quality and low environmental impact, amenities that the customer can manage by using both the Web and the various touch screens in the reception areas. Last but not least, thanks to the recognition of the Regional Funds at this precise, ground-breaking time, Garda Green is the reference Club for the promotion of Lake Garda through the various regional channels.